On this Veterans Day, we at the Office of the Utah Attorney General take a moment to remember those who have served our country in the pursuit of freedom for all. Most of us have experienced what it’s like to say goodbye to someone we love headed for deployment – whether a spouse, parent, uncle, aunt, sibling, cousin, or friend – without any idea if they will make it back home. It is one of the hardest and, yet, proudest moments in our lives. Today we say thank you. Thank you to all who have served in uniform and who have sacrificed both on duty and upon returning home. Thank you to the family members who have given up their loved ones for long periods of deployment. And thank you to our gold star families, for giving the ultimate sacrifice on behalf of our nation. Let each of us remember the service of our veterans. Let each of us take a moment and express our thanks for all they have given. It is a small thing we can do for those who have sacrificed much so that we can live free. 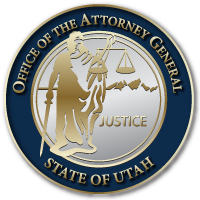 This entry was posted in Recent Posts and tagged Utah Attorney General, Veterans Day on November 11, 2018 .